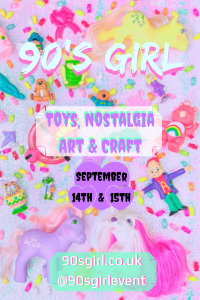 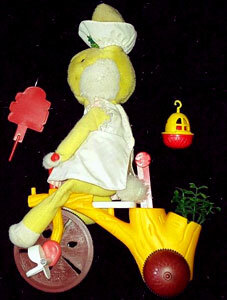 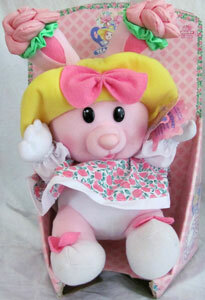 Image on this page thanks to Eden Eye and eBay sellers spongebobgrrl and Dennis-Collectibles-Dolls-And-Toys ! 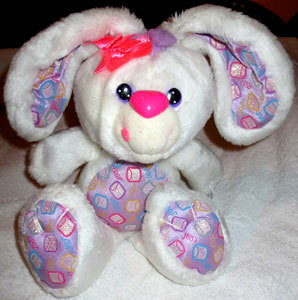 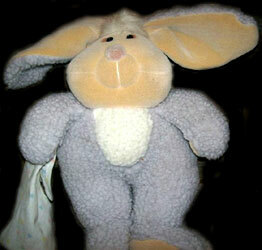 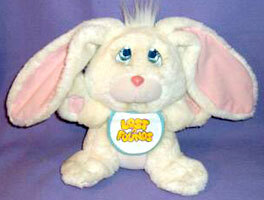 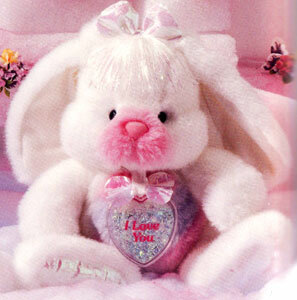 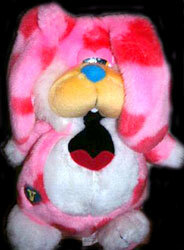 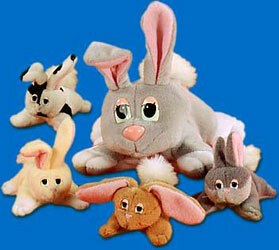 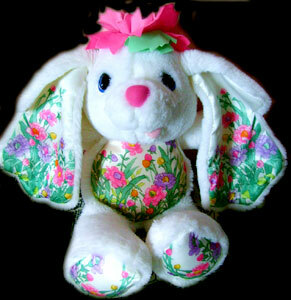 "Two lovable plush bunnies are irresistably soft and cuddly with the added surprise of being able to change colours. 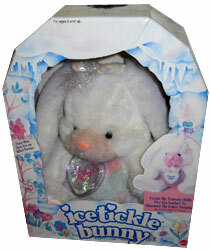 Simply freese their lockets and rub their tummies. 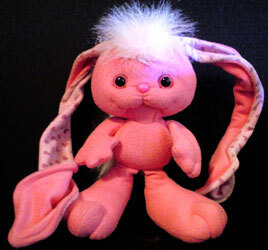 Like magic, their egg-shaped tummies change to pink, to blue and to purple. 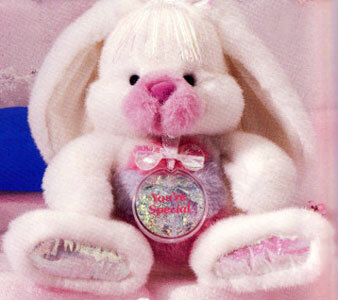 The lockets, shaped as a heart, circle or flower, carry the special messages: 'I Love You', Make a Wish', or 'You're Special'. 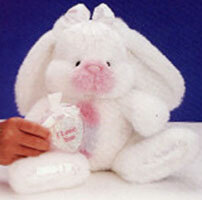 When a child higs the bunny, the colour changes back to white. 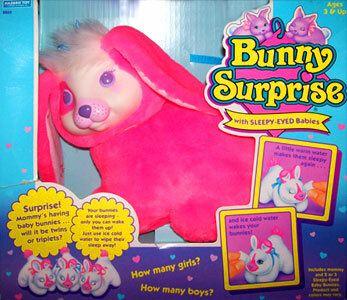 Bunnies came with either pink or purple nose." 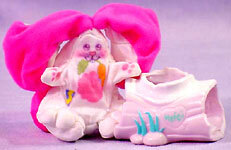 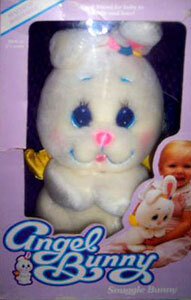 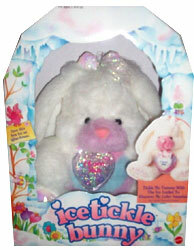 There were two Icetickle Bunnies produced with a choice of pink or purple nose. 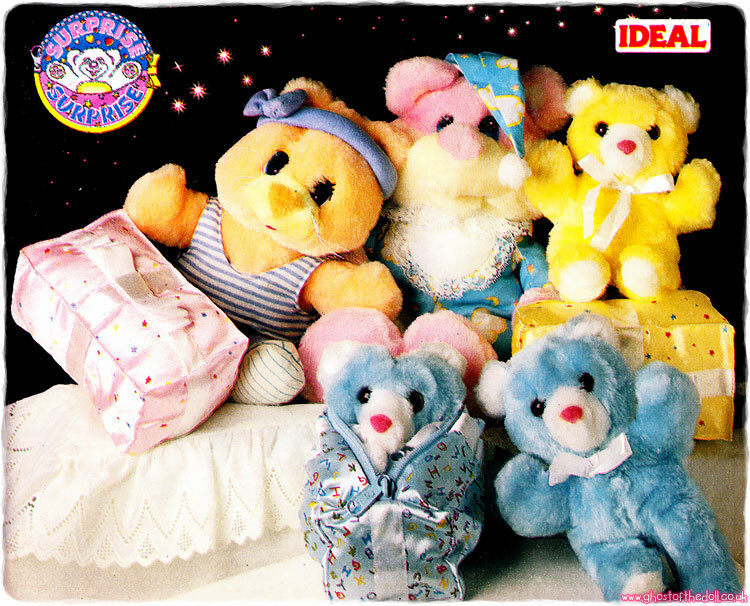 Publicity text stated they were available with a choice of three lockets (just like the bears), although I've only ever come across the bunnies sold with a circle locket marked "I Love You".